If you’re a marketer or a business owner looking for ways to level up your business, perhaps you’ve heard of call tracking technology and how it can help you long term. Sometimes, however, it can’t be helped to feel a bit “off” and think whether or not other marketers just praise call tracking for the sake of hype. Interestingly, in this article, it appears call tracking does have its own set of benefits that would likely help set you apart from the competition. 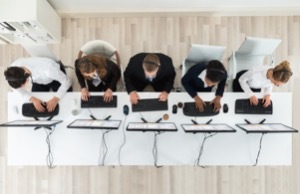 Before you get that phone and contact a service provider, however, perhaps a refresher on call tracking technology’s potential will be able to give you the kind of insight you need on the subject. If you find prospecting as one of the hardest parts of your work, then you’re not alone – in fact, more than 40-people of sales representatives believe this is easily the most challenging portion of the sales process. It takes around 18 calls on average to just connect with a buyer, and eight (8) more to reach a prospect. It’s not as though it’s not worth the while, however, as more than 50-percent of prospects do want to learn more about the product and 60-percent of buyers immediately discuss product pricing during the first call. 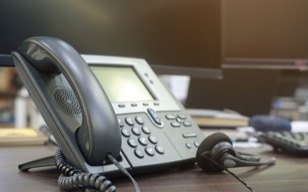 Organize, systematize your marketing channels: Perhaps the most important feature – and benefit – of call tracking is its main “point.” Call tracking is becoming such a popular option for marketers and companies because of its ability to help you systematize and organize your channels. Instead of just relying on one to three phone numbers for your company, you instead have access to numbers directly linked to your marketing channels. This immediately organizes your system into channels such as those from pay-per-click ads, those from your website, among others. In turn, you also have less to worry about in terms of making sure things are in order should you need to get yourself reports or reorganize parts of your strategy. Get better numbers for your returns, reports: Given call tracking can organize your channels with phone numbers, you’ll also be able to get better statistics from them. Things such as actual returns and costs are now much more identifiable given you can immediately trace calls to a source. You can even modify the parameters of data you’re getting including location, or even age, gender, and the keyword they’re exposed to prior to your call. Demystify multiple aspects of the sales process: Sales is perhaps one of the most important – yet most perplexing – part of any business. After all, this is what determines whether or not you’ll actually get any profit from your efforts. Unfortunately, calls aren’t exactly easily monitored, given that anything can happen in them. Call tracking unlocks this aspect of the sales process. Another benefit of call tracking is its ability to help you see vital aspects of the sales process, such as peak call hours, as you can now pinpoint just exactly which day and when you get the most calls. In turn, you can also better schedule your staff’s working hours. Better integration with other processes, applications: Another aspect of call tracking that makes it such an attractive tool for companies is its ability to be integrated easily with your other software and applications. For instance, call tracking can be integrated into your analytics tools in order to help you gain better insights on various aspects of your strategies and processes. This makes you have a better, clearer, and more intimate understanding of the fundamental parts of your systems. Make better decisions for your strategies: Given how erratic and fast-paced the market can get, it’s important to have a good grasp on what’s happening to your company and various business processes at any given time. You can’t just wait for days to get proper reports done, and call tracking understands this. The fast-paced nature of call tracking allows you to gather data almost in real-time, allowing you to make decisions as needed without having to organize lengthy meetings. Provide better customer service to your prospects, leads, and customers: Call tracking’s call record feature allows you to make better and precise assessments of your staff’s performance with regards to customer service. You now have the capacity to listen to recordings and pinpoint highlights of calls, allowing you to evaluate your staff and help them improve their efforts in what they do. This also allows you to get information firsthand as to which aspects of your processes are working or not. Determine customer satisfaction with better accuracy: Call tracking’s call record feature also affords you the opportunity to put a more accurate number on customer satisfaction. You can now check just how customers react to certain parts of your pitches, and let you evaluate if there are things that should be adjusted to improve upon your processes in the long run. Call tracking isn’t an easy system to implement to any workplace, especially given the various adjustments you may have to make in order for it to work with your current system. If there’s anything that’s impressive about call tracking, however, it’s its capabilities of providing various benefits to your company when used appropriately. Should you start considering opting for a call tracking system, consider the above backgrounded on call tracking technology and how it can help you long term. Planning appropriately, utilizing it with your current system, and always leaving room for innovations can actually make call tracking quite an asset for your company. Guest article written by: John Taylor. John is a long-time professional with over two decades of experience in analytics and communications technology. He works as the Senior Data Analyst at Fone Dynamics, a leader in call tracking, voice, and SMS communication. When John steps out of the office, he loves to spend time with his family and bike riding.